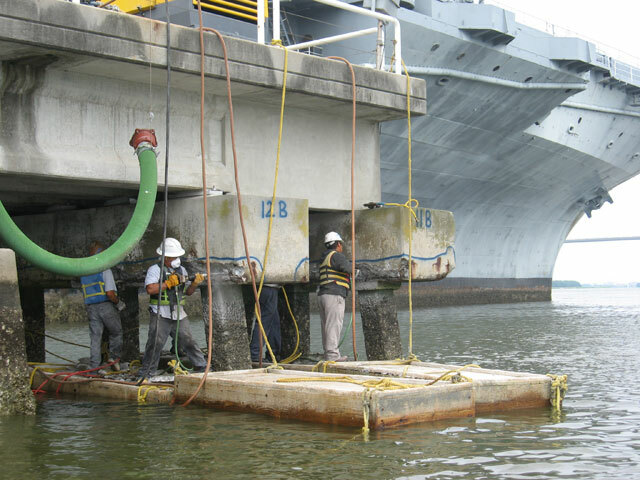 The Sheridan Corporation was the structural engineer-of-record on the above and underwater inspection of the pier conditions for the U.S.S. 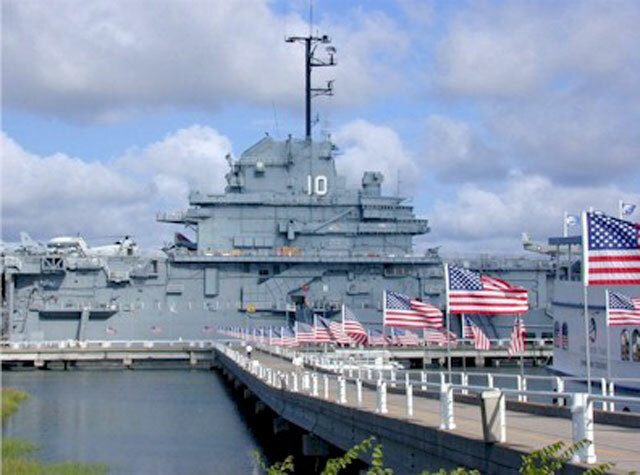 Yorktown at Patriot’s Point Naval Museum.The Sheridan Corporation subsequently designed and closely monitored the construction of repairs to the pier. 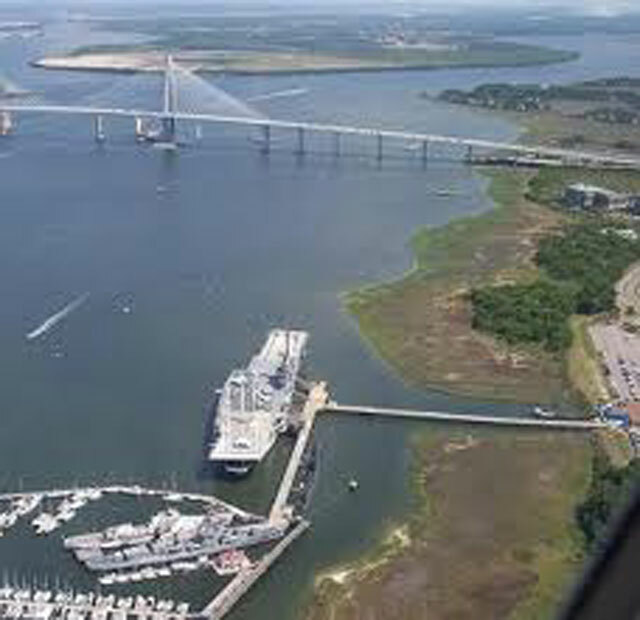 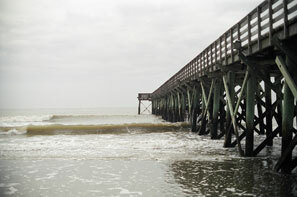 The pier was originally constructed in the mid-1970’s and its length was extended in the early 1980’s. 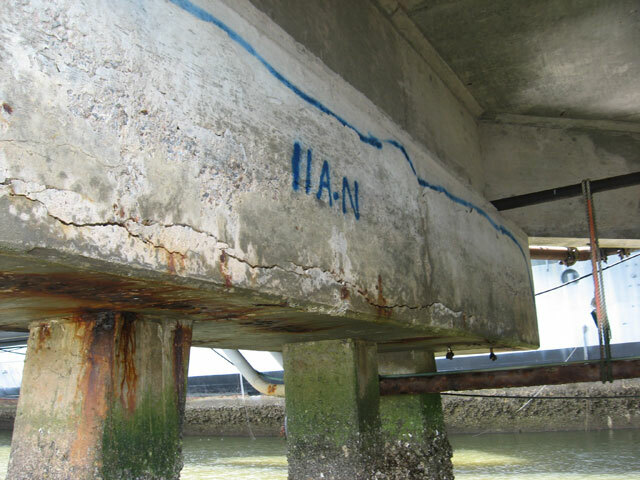 Through the subsequent years, constant exposure to the salt-laden marine atmosphere had resulted in deterioration to the underside of the pier structure and the support piles. 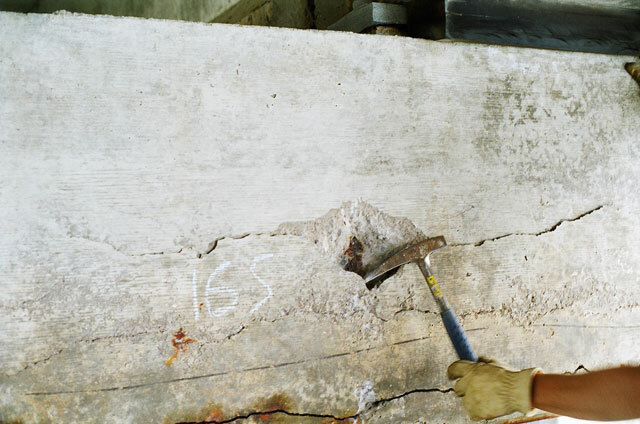 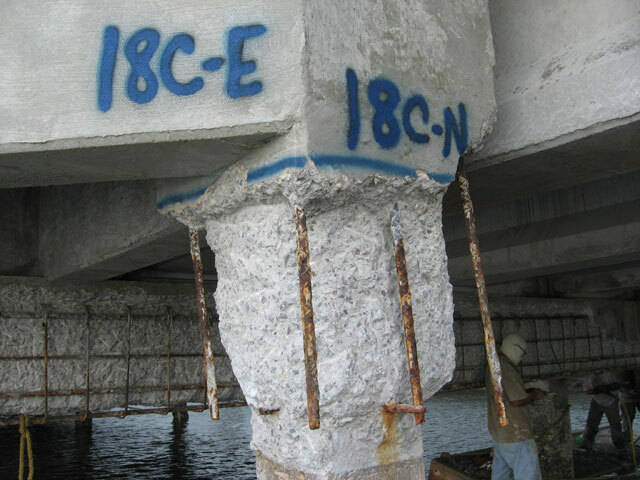 Corrosion of the steel reinforcing bars along the underside of the pier’s support beams and of the steel pre-stressing tendons within the support piles had resulted innumerous cracks to the concrete structure. 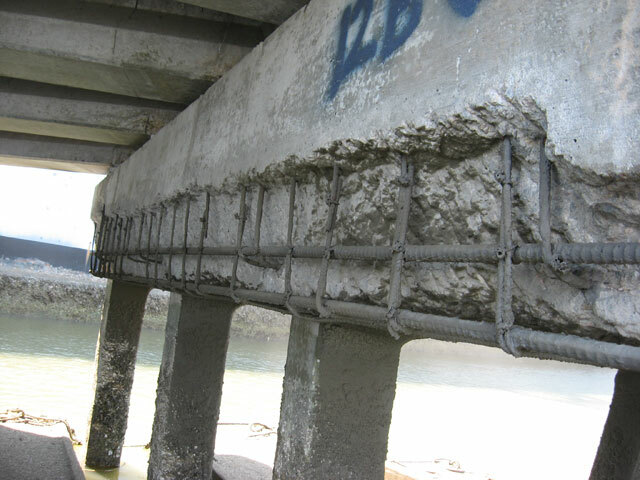 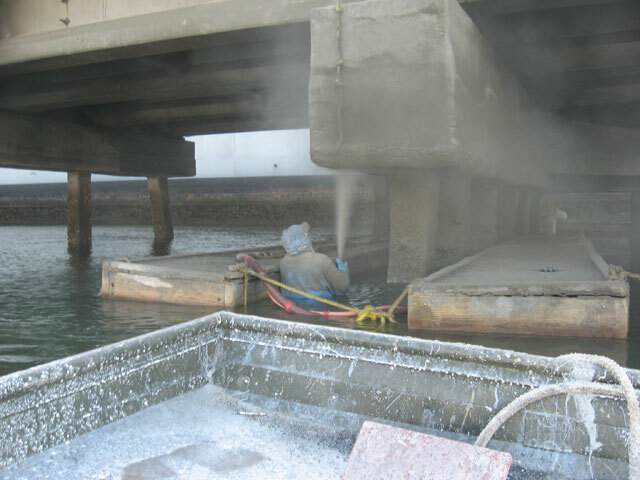 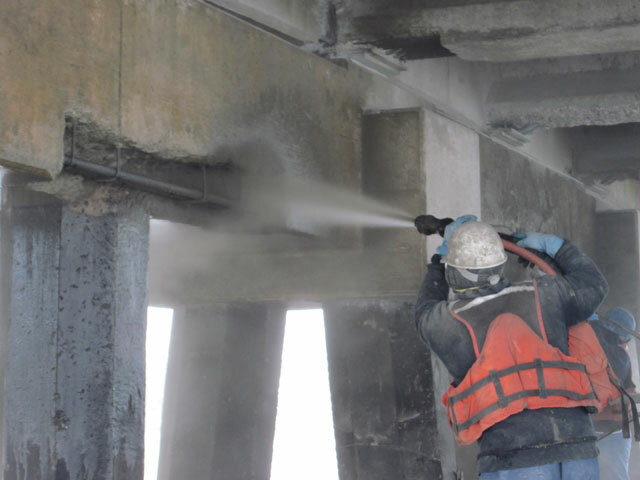 The design solution for the repair project included removal of the zones of deteriorated concrete along the undersides of the pier support beams, cleaning and supplementing any deteriorated steel reinforcing bars, and the subsequent replacement of the concrete utilizing the “shotcrete” application system. 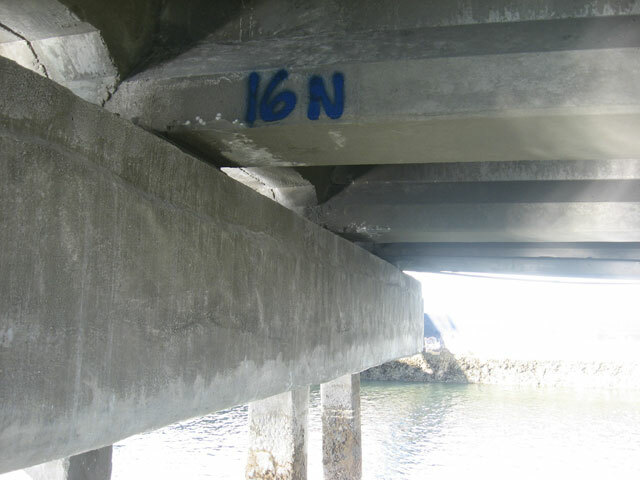 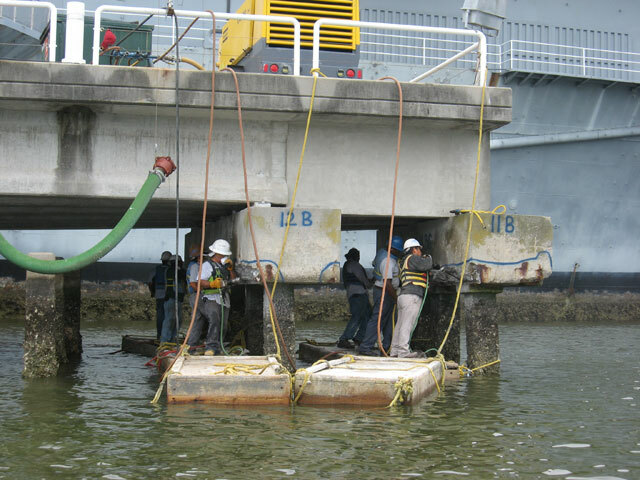 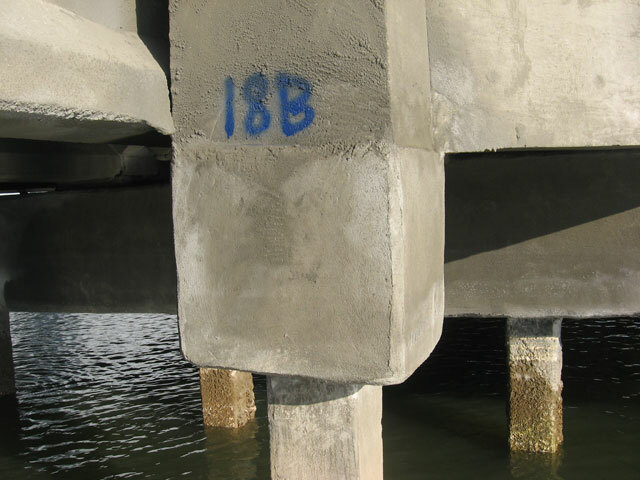 An epoxy injection system was utilized in the repair of the cracks on the support piles.